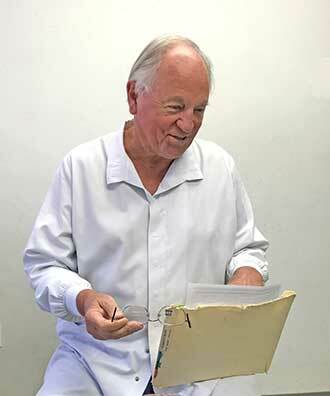 Dr. James Thiel is a prosthodontist, specializing in prosthetic and implant dentistry. Dr. Thiel has served as Chair of the Metropolitan District Dental Society; Trustee, Officer & Treasurer of the Mass Dental Society and Chair & Treasurer of several committees of the Yankee Dental Congress. He is a former Trustee of Boston University Dental School, and is a fellow of the honorary American College of Dentists & the International College of Dentists. He graduated from Marquette University Dental School and then served in the U.S. Navy in the Fleet Marines. After military service, he moved to Massachusetts where he attained a Master of Science degree and specialty in prosthetic and implant dentistry from Boston University. Dr. Thiel taught as an associate professor of Prosthetics at Boston University, and has lectured for state, national and international organizations in his specialty field of prosthodontics.